Our Charter and affiliates are so important and we accomplish a lot together. We wouldn't be able to do what we do without them. They help us create meaningful experiences for our youth. We are proud of our Charter and affiliates - Thank you! All Boy Scout Troops are associated with a Chartering Organization that sponsors them, provides meeting facilities, and approves the selection of leaders. 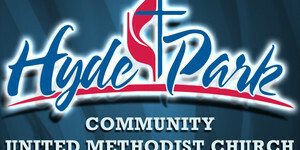 Troop 114 is chartered by Hyde Park Community United Methodist Church. HPCUMC invites you to visit on Sundays (See service times). The youth in our community are a very important part of the Church, and the Education Ministries include pre-school, Sunday School, Children’s Choir, and Student Ministry, of which Troop 114 is a vital part. Check out HPCUMC’s website for other activities. Scouting tries to evoke a strong moral value system within its members, including the most important element – a belief in God and a sense of duty and reverence towards Him. While requiring that its members acknowledge a fundamental belief in a supreme creator, the Boy Scouts of America does not define the specifics of any particular religion except to say that a higher power must be the center of it. The BSA encourages its members to actively practice their own religious faith in worship. Scouting is a non-denominational religious and educational institution and all faiths are welcome. You do not have to be a member of HPCUMC to join Troop 114. But if you do not currently have a church home, we encourage you to visit HPCUMC and we invite you to join in worshiping! Troop 114 is in the Blue Jacket District, one of several districts in the Cincinnati region that are part of the Dan Beard Council, Boy Scouts of America. The Dan Beard Council is the administrative body of the the Boy Scouts of America in the Greater Cincinnati area. With a geographic area of 12 counties in Southwestern Ohio and Northern Kentucky and an average annual membership of 33,000 youth, the Dan Beard Council is one of the larger metropolitan Councils in the country and the largest youth organization in the Cincinnati area. We are chartered annually by the National Council of the Boy Scouts of America, which is chartered by the Congress of the United States of America!